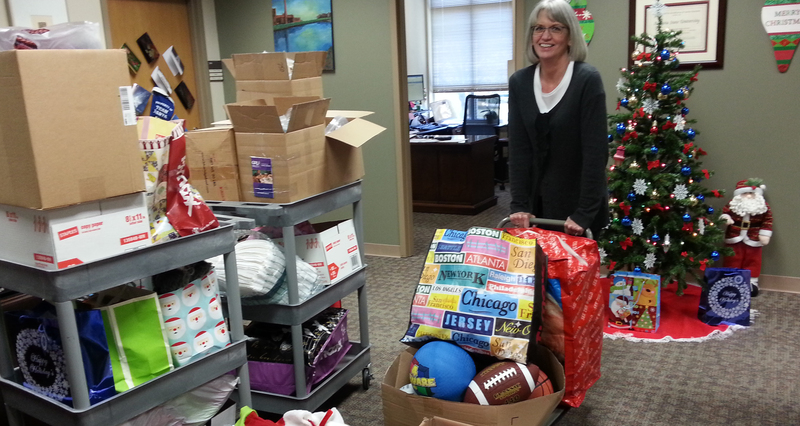 Fran Sunderland gathers the final round of donations for SafeHomes of Augusta. AUGUSTA, GA. – Through the generosity of Georgia Regents University faculty and staff, the College of Education collected thousands of dollars of toys and toiletries in our Home for the Holidays donation drive for SafeHomes of Augusta (photos below). The College of Education undertook its first-ever holiday donation drive in December, and chose the local domestic violence advocacy organization because of its direct impact on the community. Safe Homes provides a haven to all victims of domestic violence, and their services are free. 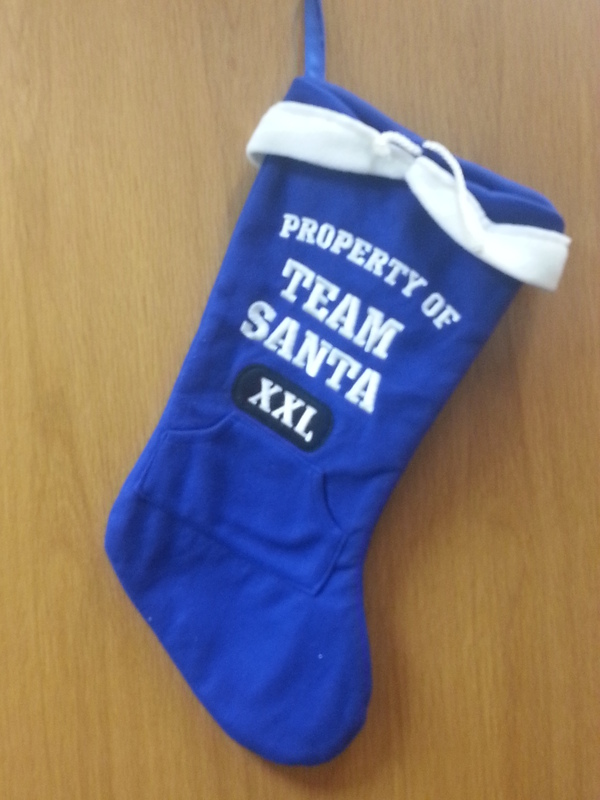 Most of their funding is raised locally through donations from individuals, businesses, charities, and special events. 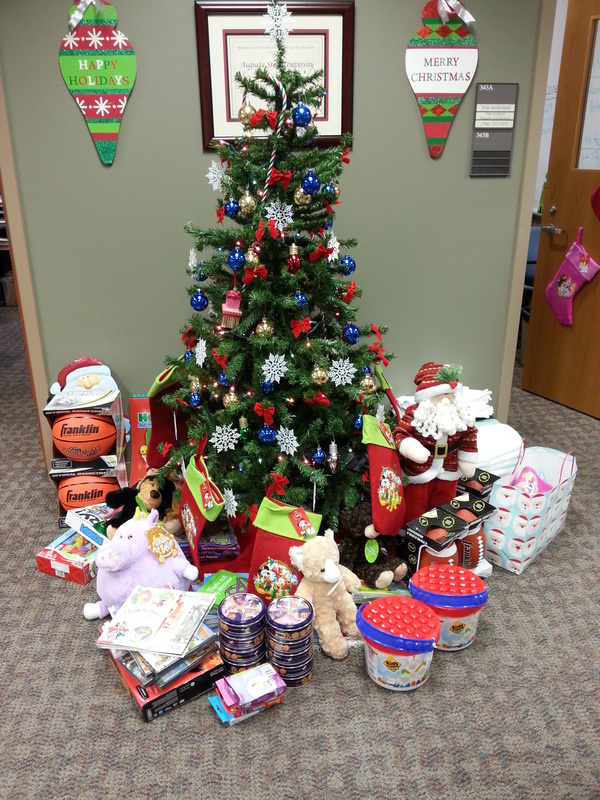 With just under one month to solicit and collection donations, the College of Education’s Christmas tree bloomed with books, clothes, dolls, games, gift cards, puzzles, sporting goods, sweets, toys, and toiletries for the children and their parents. The shelter was also given new basketball, soccer, football and kickball equipment for activities and exercise, along with new books, and a new DVD player and DVDs for community entertainment and education. 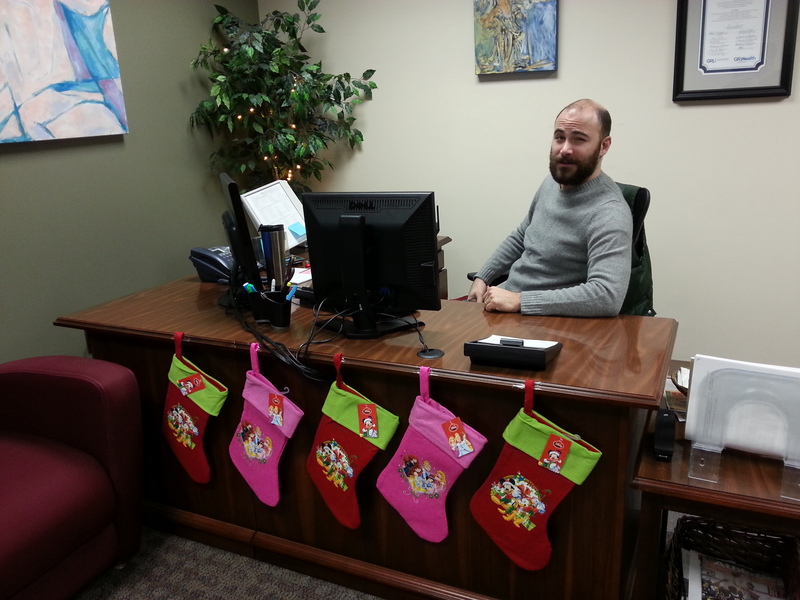 In all, it took two cars loaded with gifts and resources to deliver everything to the SafeHomes administrative offices on Merry Street. Georgia Theatre Company, who donated movie passes to all of the shelter’s residents, through Evans Cinema and Masters Cinema. 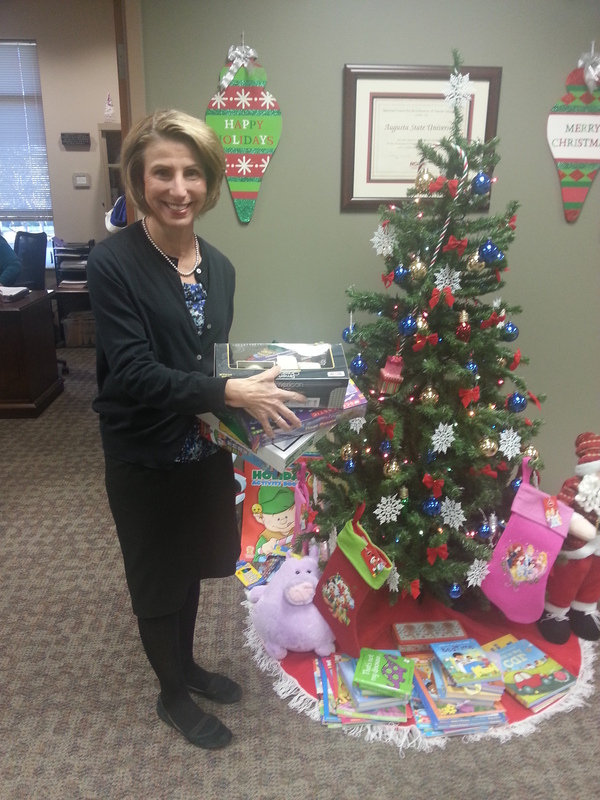 Dr. Linda Crawford delivers toys for children who reside in the local domestic violence shetler. Graduate Assistant Dan Horgan moonlights as The Most Interesting Man in the World. 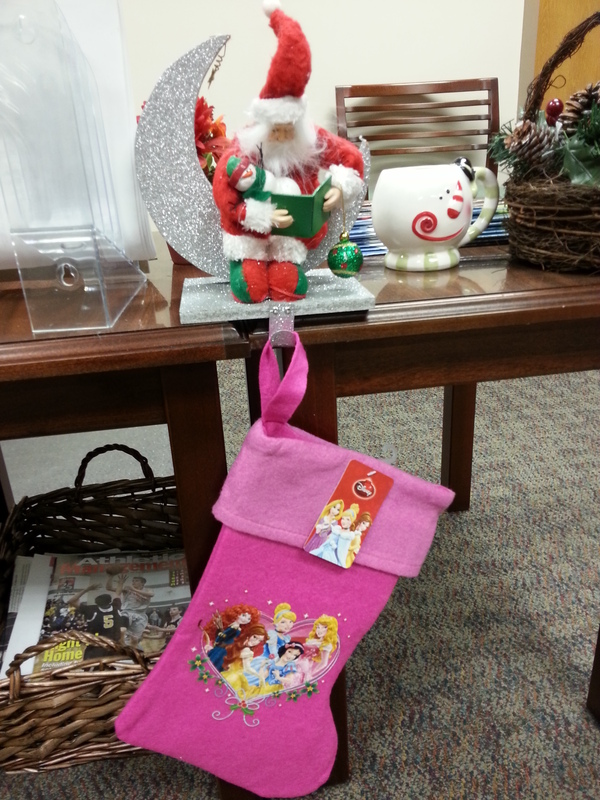 Faculty and staff filled stockings for the children who reside in the local domestic violence shelter.